Awesome news Dexter! Good luck. Dex has 2-3 opportunities to show out before a national audience. Clemson will be tough sledding but hopefully he can give us a big play or two. Was just looking at his hudl page yesterday comparing him to a current 2020 target. Looking at his measurements still floor me. IIRC he was (or at least during the camp), ranked with the second highest SPARQ score in the nation. Damn I'm gonna miss him. We have no one even close to his measurables on the roster. gonna miss Dex. Congrats to him and I hope he kills it at the next level. We are going to miss his explosiveness next season. 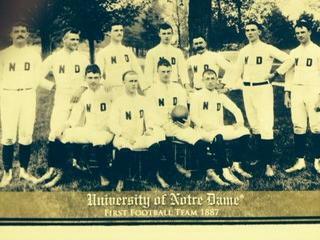 My two favorite football teams: Notre Dame, and whoever's playing Michigan. I honestly think Dex can have the best NFL career of any running back in the last decade.